The Return of the King, or, Hannibal is Back! Hannibal Season 2 starts off with one of the most gorgeous fight scenes I’ve ever seen. Despite having any shock the sequence might have elicited rendered moot by its appearance in literally every piece of promotional material NBC could muster, when the scene ended my jaw was on the floor. This was no Jason Bourne brawl with quick cuts and lightning fast, near indiscernible movements. This was a dance, a beautifully shot and choreographed display of violence, an extended test of survival instinct and brute strength. The combatants grabbed for anything remotely lethal, they revealed their true strengths bit by bit, each adapting their strategy to the other second by second. The first five minutes of the Hannibal Season 2 premiere are the physical manifestation of the gut-wrenching, thought-provoking and straight up chilling conversations that have been serving as the climaxes and plot points of the show since the beginning. There’s certainly action in Hannibal. The very nature of the show revolves around murder and the tussle that starts off Season 2 isn’t the series’ first. But by and large the abundant murders the show so wonderfully stylizes take place off screen, leaving the viewer to contend with the grizzly results. The forward momentum in Hannibal doesn’t stem from action, it stems from conversation. And it’s why Hannibal might be the best show on television. I wasn’t actively excited to watch the series premiere of Hannibal last year. There was a How to Destroy Angels song in one of the commercials, so that was cool, but I’d be lying if I didn’t say I was talked into watching it. Thankfully. The Hannibal pilot was far better than it had any right to be given that, at face value, it’s just the repurposing of a semi-successful, loosely-defined film property into a network television drama. But the Hannibal pilot made it abundantly clear that the show wasn’t going to be content with being a franchise cash grab. It’s evident immediately that a great deal of thought went into not only the show’s writing, directing and acting, but its cinematography and sound design too. The pilot left me intrigued. But it wasn’t until the end of the second episode of Hannibal that I was hooked. The episode featured a particularly disturbing, fungal-themed killer who nearly had me turning off my television for the sake of my sleep and stomach. How one of the scenes in this episode in particular made it to network television is no doubt a modern marvel. But that isn’t what sticks with me when I think about that episode. What I remember most is a conversation between Hannibal Lecter and Will Graham, adapted from a letter Hannibal sends Graham in Thomas Harris’ novel Red Dragon. The two discuss murder. Go figure. How it should feel to commit and how it actually feels to commit. The episode ends on a quiet note, with Hannibal considering the notions that man is created in God’s own image, that God commits murder every day and that maybe extinguishing life makes God feel powerful. What the hell kind of ending is that? No cliffhanger, no resolution, no massive set-piece, no subtle quip, no laugh track, no freeze frame. Just a conversation left hanging in the air, unfinished, like a college girl mounted on a rack of deer antlers. The conversations in Hannibal offer vivid, nuanced glimpses into the characters, more so than any gun fight or explosion ever could. 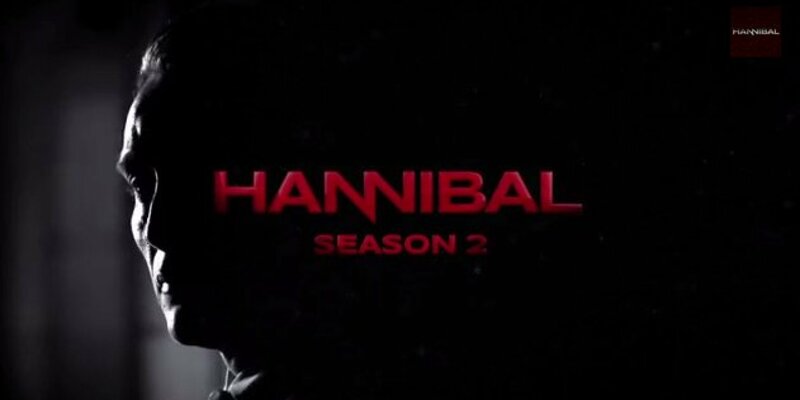 Hannibal’s Season 2 premiere continues the trend. Despite trippy daydreams, a terrifying death tableau and the aforementioned amazing fight sequence the highlights of the episode were conversations. Hannibal and Jack. Jack and Will. Will and Hannibal. Hannibal and Scully. I’ve never watched a show before with such an earnest interest in what the characters have to say. In short: Breaking Bad is over. Hannibal is the best show on television. 1. 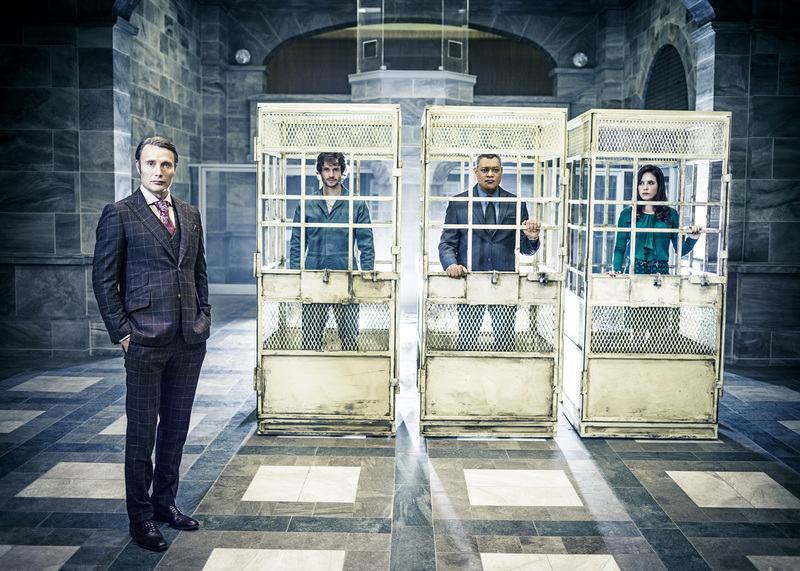 Why oh why did NBC move Hannibal to Friday nights? 2. What the hell is Grimm? 3. SRSLY what is NBC’s deal?